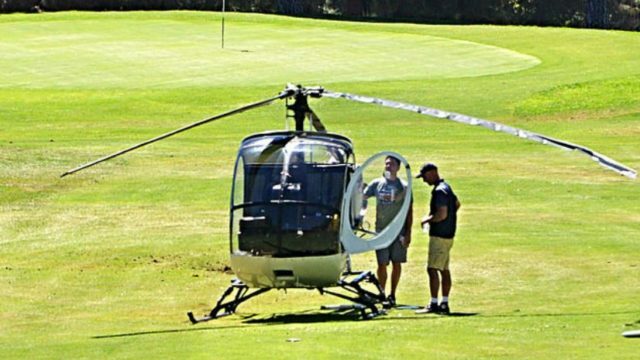 Two people got out uninjured Saturday when a helicopter made an emergency landing at the Knollwood Golf Course in Granada Hills, authorities said. 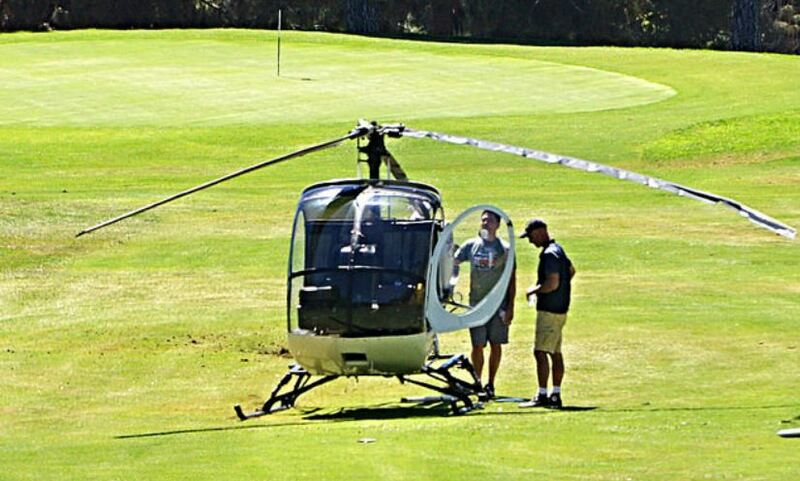 The hard landing was reported about 12:30 p.m. at the golf course at 12040 Balboa Boulevard, Los Angeles Fire Department spokesman Brian Humphrey said. The two occupants were out before firefighters arrived, Humphrey said. The helicopter was a Schweitzer 269 that “sustained substantial damage during emergency landing,” Allen Kenitzer of the Federal Aviation Administration said. Details about where the flight started, was headed or ownership were not available.